When you’re in need of comprehensive stove and chimney service in Fairbanks, AL, look no further. Firesafe Chimney Service is Alaska’s only certified chimney sweep and your safety is our number one concern. We specialize in the inspection and removal of air duct and chimney hazards that can endanger your health. At Firesafe Chimney Service, we strive to ensure that the air ducts, chimneys and wood stoves in Fairbanks, AK are always in proper working order. We have the great pleasure of being the only certified chimney sweep in the state, and as such we take extra care to make sure that our work is done right and to the best of our abilities. Hazards left in air ducts, chimneys and stoves may be easy to ignore at first, but they can quickly become a huge concern. Fortunately, we always put the safety of our customers first. We are extremely careful in the stove work that we do and work hard to remove any and all hazards that your chimneys may present. 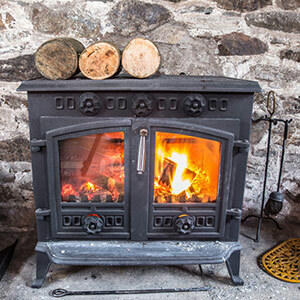 We use trusted brands like Regency, Jotul, Arch Guard, Vermont Casting, Lummox, Lopi and St. Croix for fireplace repairs, chimney repairs and new wood stove installations. We are certified chimney sweepers with the Chimney Safety Institute of America. We are a proud member of the National Chimney Sweep Guild. We believe strongly in the ongoing education and importance of stove and chimney safety. We provide quality stove installation services, customized to match your home perfectly. Fill out the short form below for details on our wide selection and special offers on wood, pellet, and gas burning stoves!